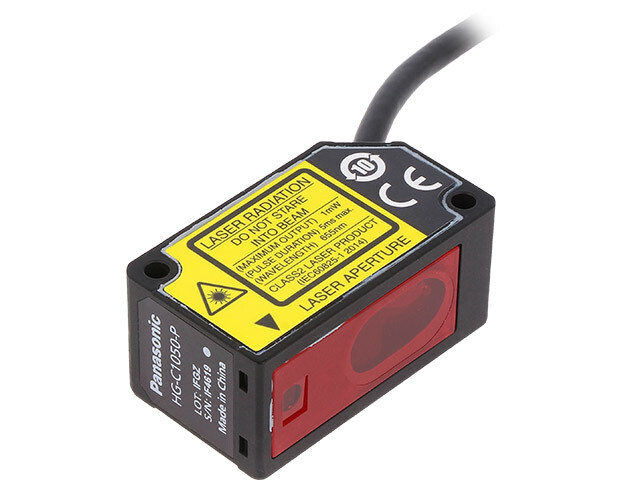 The HG-C series includes compact laser CMOS sensors, powered by 12-24V DC voltage, which enable you to measure real distance as precisely as position sensors. The HG-C sensors from PANASONIC can be used in material bending measurements, thickness measurements, or head height adjustment. Additionally, you can purchase the latest version of HG-C sensor with the IO-Link function. This function sends data collected from sensors via IO-Link to a higher-level field bus, returning sensor status. This minimizes the amount of production data and work required to analyse it. In the case of IO-Link solutions, customers can choose from sensors with cable leads (2m) or an M12 connector. Check out the range of distance sensors from PANASONIC.